Jurnal Teknosains invites you to submit a book review for each issue, but this book review should meet our focus and scope. Scholars and researchers from different disciplines are invited to contribute. For section policies, you can read focus and scope. Your book review should be submitted via Online Submission system using OJS. For all authors, we have already updated an easy step-by-step guide for author. From preparation before submission, online submission, tracking submission, reviewing process, revision process, final editor decision, after accepted submission, copyediting, and until order for printed version of our journal. 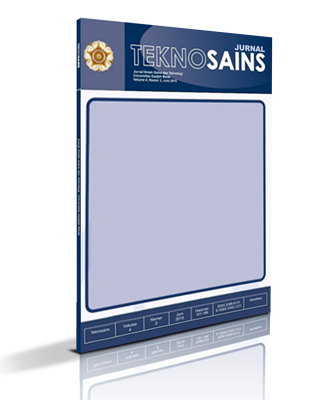 This jurnal Teknosains website may more easily accessible for All authors, readers, and librarians than before. Please visit through this link. Starting from June 2019, in this issue, if your paper is accepted for publication, you will be asked to pay an Article Publication Fee to cover publications costs. After the author has been informed by email that the author's paper is accepted, you should pay the fee to Jurnal Teknosains. 1. Article Submission: 0.00 (IDR) 2. Article Publication: 750,000.00 (IDR) For detail information please find on Author Fees in the right sidebar.